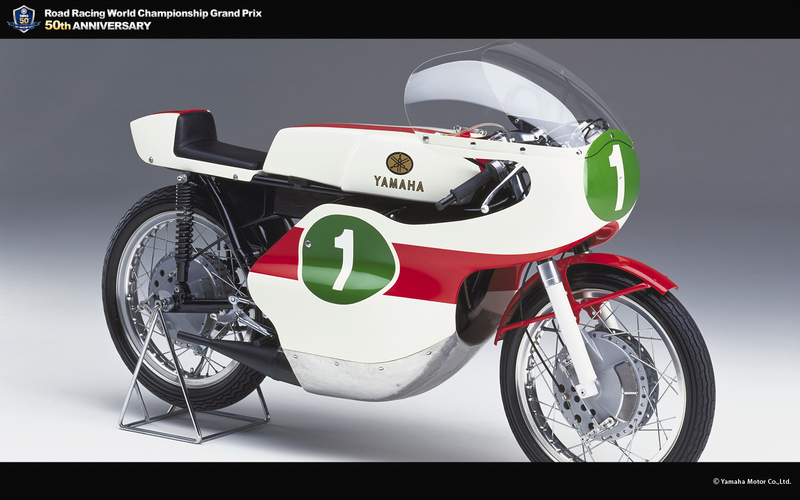 RD56 - race | Yamaha Motor Co., Ltd.
View machine data for past races Yamaha has competed in. The machine that made Yamaha famous as "the 2-stroke maker"
This model was a further development of the RD48. Its 2-stroke, rotary disc valve, 2-cyclinder engine was powered up to 45PS and it was mounted on a featherbed type double cradle frame. The front and rear suspensions were also strengthened along with other improvements that made it a new machine all in all. 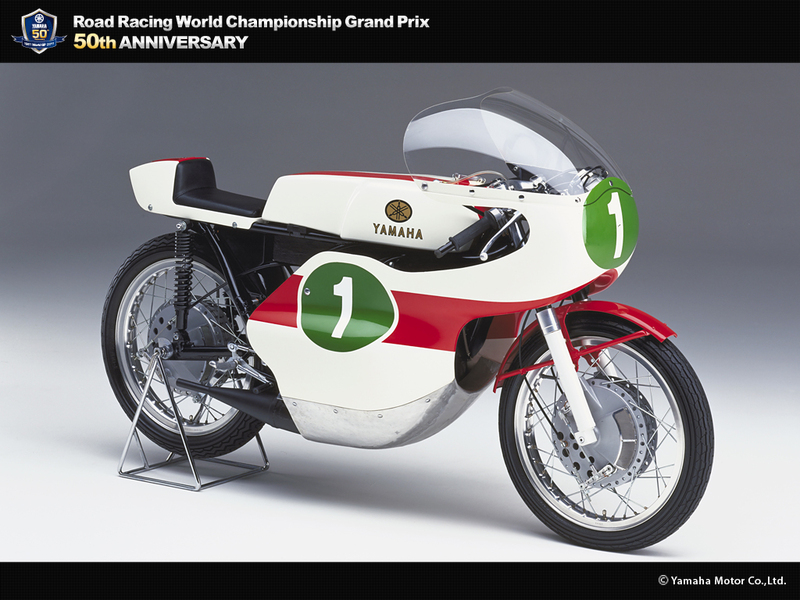 Its debut race was the 1st All Japan Road Race of 1962. The following year it performed very competitively overseas, with Fumio Ito riding it to victory in the Belgian GP. Further maturation in 1964 and 1965 brought the RD56 to the level where P. Read was able to win the World GP250 Rider title on it and help bring Yamaha the Manufacturer's title as well. 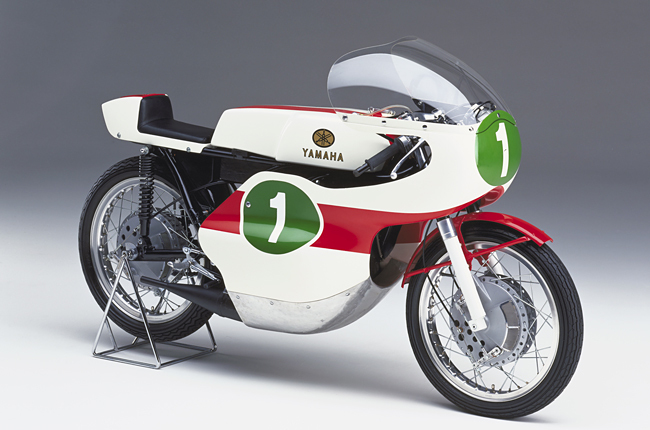 At a time when the GP was predominately competed with 4-stroke machines, the RD56 gave Yamaha the reputation as the leader in 2-stroke racers.